2 way slim floorstander designed for medium sized rooms. Fully hand-built speaker with high quality components. Awarded by highfidelity.pl with "best product 2015" award. "These speakers take us on a different journey. They offer a trip into world of music where what matters most are colors, dynamics, naturalness and ?freshness? of the sound. Separation of instruments is surely not a key element of the presentation ? they all are elements of a bigger picture. Such approach is not a mistake ? it is one of the possible choices. This presentation actually sounds a lot like we hear instruments playing live. It's a sophisticated performance, open, effortless and most of all ? very clean. 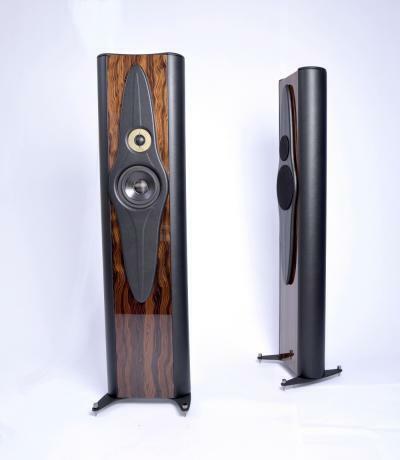 It is a well thought-through, wonderfully made speaker for true connoisseurs. It is a beautiful, fantastic design and I have no idea how it is possible to offer it with this price tag. There is only one explanation for this ? this is a creation of a true passionate who made these speakers for other aficionados and in particular for those who can't afford high-end/priced products."